Luis Spain (Don Gordon), Genaro Planetta (Tony Mordente), and Henry Castle (Chris Warfield) are three seeming social misfits who are recruited into the ranks of the Invisibles, a subversive underground organization run by an alien race. 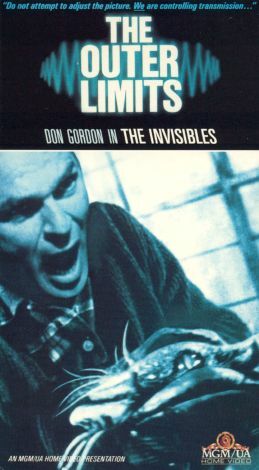 The Invisibles, small creatures with hard shell-covered bodies and sharp claws, have the ability to invade and merge with any human being, taking over control of their minds and bodies; they have already done this with several high-ranking politicians and other prominent personalities, and are planning on doing it with more, with help from Spain, Planetta, and recruits like them. Spain turns out to be an agent of the GIA (Government Intelligence Agency), sent to infiltrate the ranks of the Invisibles' followers. Cut off from his agency by the murder of his partner (William O. Douglas, Jr.), he is sent on his first mission, the takeover of a top defense department advisor (Neil Hamilton), only to learn that the Invisibles have suspected him from the beginning, and that he is the target, their goal to get one of their own into the ranks of the GIA. Seriously injured and desperately seeking help, Spain turns to his fellow recruit Planetta, with whom he developed a tenuous bond during their indoctrination.